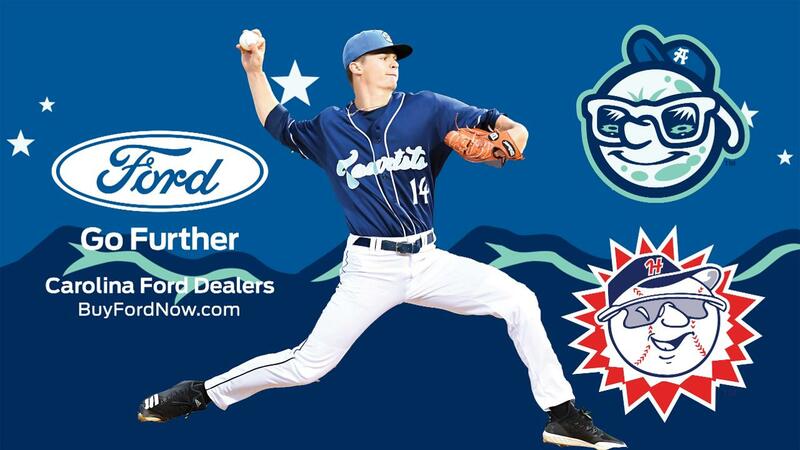 HAGERSTOWN- The Asheville Tourists and the Hagerstown Suns split a double-header on Saturday night with the Tourists winning game one 5-1 and falling in game two 5-4. The Tourists controlled game one throughout but fell behind early in the second contest. Their comeback bid fell short. John Cresto blasted a solo Home Run to kick off the scoring in the first game. Terrin Vavra 's sacrifice fly made it 2-0. After the Suns plated their only run of the game, the Tourists put it away with three runs in the fifth. Will Golsan , Vavra, and Grant Lavigne all chipped in RBI's in the frame. Alfredo Garcia , Nick Kennedy , and Eric Hepple limited Hagerstown to only three hits in the Tourists victory. In game two, the Suns managed only three hits as well. The difference was a four-run first inning for the home team that featured six walks. Riley Pint did not have his control and the right-hander was forced to depart after two-thirds of an inning. Jacob Bird did a great job out of Asheville's bullpen keeping the Suns offense at bay. The Tourists scored once in the second and added two more in the sixth to creep within a run. Hagerstown was able to close the door in the seventh as the Tourists left the tying run at first base. Asheville's bullpen combined to pitch 8.2 innings over the two contests and surrendered only one run. The Tourists and the Suns will wrap up their series on Sunday afternoon with the first pitch slated for 2:05pm.